Just as I Am three – Father, Son and Holy Spirit – you are meant for community. While I have an individual destiny for you, your calling can only be found in relationship with others who share the same mind – My mind – the mind of Christ. 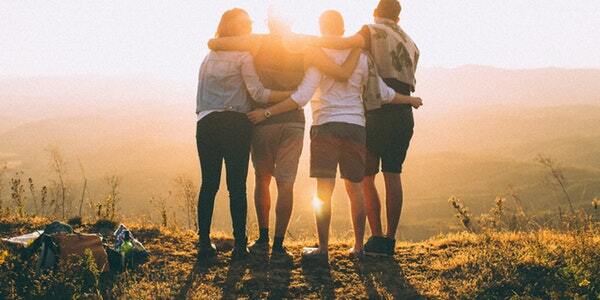 Tribe is all about being connected to a group of people who have certain skill sets or a unique spin on living kingdom life. Your tribe has a different accent from all the other tribes. It is not so much about the geological location you come from. It’s more about the journey you’re on and the destination you’re going to. You begin to recognize your tribe as you begin to say, “Yes,” to your calling. It takes a special tribe of drop-dead, sold-out Jesus freaks to free girls from sexual trafficking and still remain sane despite the darkness they encounter. We just rescued a 6-year-old who was being prostituted out in the nation of Nepal. Not everyone can handle that assignment, but it’s our suitable blessing. But for me and my tribe? We say, “Bring it on.” We also love to feed the poor and homeless with no strings attached. They don’t have to prove themselves poor enough or messed up enough to receive help from us and we love that. What I’m telling you today is, you need a tribe. You need people you fit in with and do Kingdom life with. If you don’t have one, you’re not going after your calling. So, let go of your history. Go after your calling and fight for destiny. Your tribe awaits.